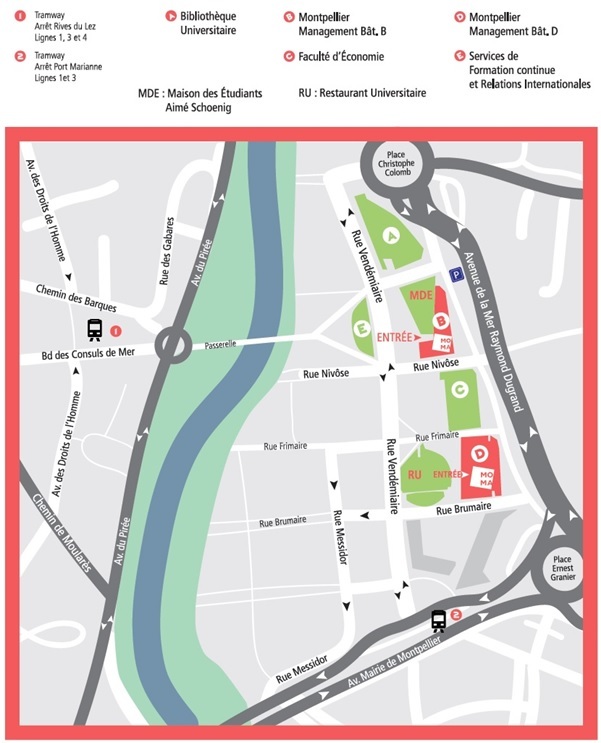 Université Montpellier – Institut Montpellier Management. Stop at the railway station Montpellier St Roch. Fréjorgues International airport of Montpellier. Take the shuttle to « Léon Blum » stop. Take the line 1 tramway, toward Odysseum.